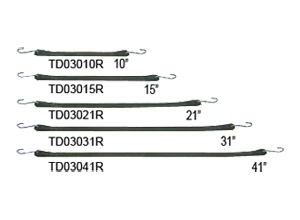 EPDM Rubber tie down straps for all types of applications. Reinforced ends with zinc plated "S" hooks. Weather wear and tear resistant. Available in five different lengths. 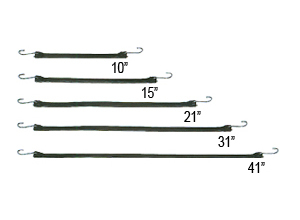 "S" hooks are assembled with EPDM straps.